Under the wide umbrella of science fiction, the specific subgenre of “hard sci-fi” has remained a particularly difficult endeavor for most filmmakers to successfully translate to the silver screen. Coined in 1957 by P. Schuyler Miller within Astounding Science Fiction magazine, the subgenre separates itself by exploring premises with scientific underpinnings that explore both the wonders and potential consequences of these fictional—yet plausible—scientific advancements. Hard sci-fi delves deep into a world not too different from our own—one in which the characters are often just as horrified or amazed by the scientific concepts that serve as the catalyst of the narrative’s conflicts. This definition distinguishes hard sci-fi from a recent film like Edge of Tomorrow, or even something like the Alien franchise, where the narrative resembles something closer to an action movie set within futuristic worlds (or otherwise), than one interested in examining characters faced with the ramifications of scientific achievements. Though some of the best films in the genre fall under this specific definition—Kubrick’s 2001: A Space Odyssey, Spielberg’s Close Encounters of the Third Kind, and Duncan Jones’ recent Moon all standing as stellar examples of scientific scenarios filtered through fictional settings—but perhaps with Moon as a starting point, the genre seems to have suddenly flourished within cinema at large. As seen in Her, Gravity, and most recently Interstellar, and despite the vast differences of scope found in each, the recent surge in hard sci-fi has allowed an opportunity to investigate exactly how and why this specific genre has remained so relevant and powerful within the modern film landscape. 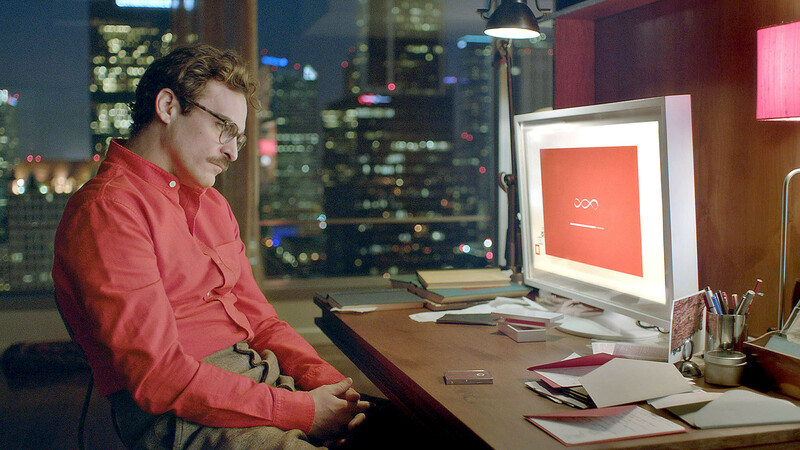 In Spike Jonze’s Her, the film examines the possibility of a man named Theodore falling in love with an AI operating system represented through a female voice. In the hands of most filmmakers, this simple premise could easily be doomed for the worst—portraying the bond between man and machine as anything other than cringeworthy, laughable, or silly. 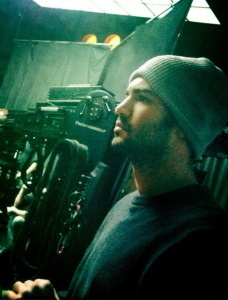 Jonze, however, uses the simplicity of the premise and the subtle hinting of scientific advancements in a near future to explore ambitious questions of human emotion and relationships that raise thought-provoking questions into the nature of what may be considered genuine emotion from both man and machine. Though the surface scope of the film can be considered comparatively small against something like the vast space of Gravity and the epic cosmic exploration of Interstellar, Jonze uses the simple premise to profound effect. While Theodore (arguably) represents the everyday man—one struggling with issues of loneliness, guilt, and increasing isolation against a world of almost omnipresent socially connectivity—Samantha stands as the opposite: a paradoxical being of infinite knowledge and evolving emotions. In the era of Apple’s Siri and advancing AI across all digital platforms, Jonze depicts the dissolving barrier between human and AI interactions to both and beautiful and devastating conclusions. Familiar concepts of intimacy, compatibility, friendship, and love are all filtered through the prism of the genre to illumine these wide-ranging consequences—both wonderful and terrible—made possibly by such scientific foundations. Moreover, as seen through such an ostensibly small and digestible premise, the film allows a broader understanding into ideas of human behavior and the binding human connection in a world of infinitely expanding science. Nonetheless, Alfonso Cuaron’s Gravity travels to a terrain even more isolated than that lonely landscape occupied by Theodore: space. The film revolves around astronaut Dr. Ryan Stone—stranded in space after the destruction of her space shuttle—and her impossible endeavor to return to Earth. 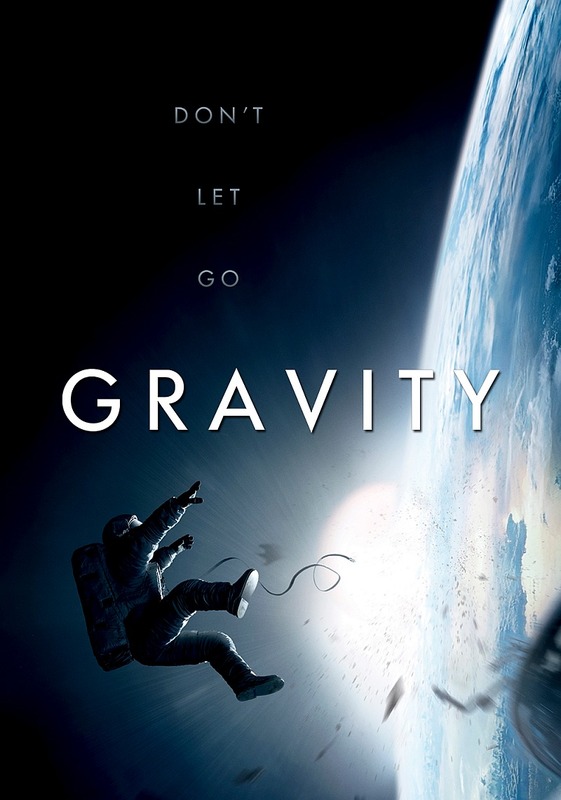 While the film’s scientific inaccuracies have been widely reported and nit-picked to death, Gravity still successfully manages to construct a setting both eerily realistic and unnerving for the common viewer. Cuaron utilizes the power of sound to its maximum potential—allowing sequences of stultifying silences to drown the viewer in the dread of the limitless abyss of space. And in those moments of chaotic confusion, both the mix and the soundtrack are amplified toward a similar, disorienting effect—positioning the viewer directly into Stone’s own anxious feelings as she fights a battle on all fronts of the human condition—physical, mental, and psychological—to overcome this hostile habitat and return home. More to the point, Gravity remains firmly rooted in a narrative that satisfies criteria of belonging to the hard sci-fi pantheon. The basic premise of being lost in space, Stone’s application of scientific principles to help resolve her situation, and the consequences of these choices made through grounded science all work toward establishing a story that simultaneously displays the absolute horror and amazements allowed by such advancements into the uncharted frontier of deep space. And while Cuaron ensures that the casual viewer can understand the how and why of the principles in play, the director wisely never overburdens the viewer with unnecessary facts or wasted screen time merely for the point of proving their validity. Instead, the technological reality demonstrated throughout only helps further transport the viewer into the cold blackness of outer space—conjured through an array of impressive special-effects and subtle acting that enhances the experience rather than distract for the sake of special attention. As a result, Cuaron’s able to use this story filled with scientific underpinnings as a vehicle for further enlightenment: to explore themes of isolation, fear of the unknown, and the power of human resistance against what appears to be an impossible conclusion. Finally, Christopher Nolan’s recent foray into hard sci-fi through Interstellar proposes a voyage even more ambitious than either of its former sci-fi peers: offering an opportunity beyond the limitations of Earth, beyond the undiscovered domains of space—and into realms that challenge current conceptions of the observable dimensions. Set in the very near future, a multitude of human-induced blights now threaten the globe: ravaged crops, violent dust storms, and an attitude of defeat that has left the future of humanity in doubt. 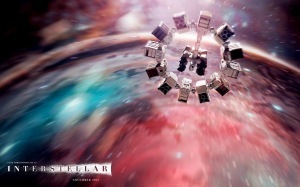 Led by Matthew McConaughey’s Cooper, a team of astronauts travel through a wormhole outside Saturn toward three potential planets that may allow for human colonization. 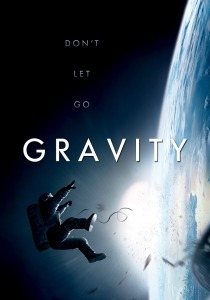 Like Gravity (and other Nolan films), a number of critics seem more concerned with finding potential plot holes than grasping the bigger point of the fiction encapsulated through the narrative. 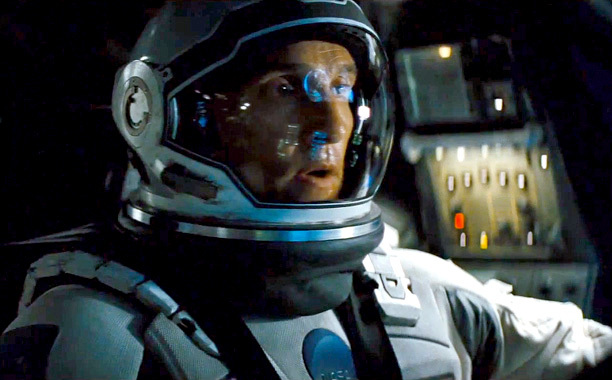 For all its faults in certain aspects of overall storytelling, Interstellar—perhaps even more so than the others—uses these characters to demonstrate the power of science in the face of insurmountable odds. 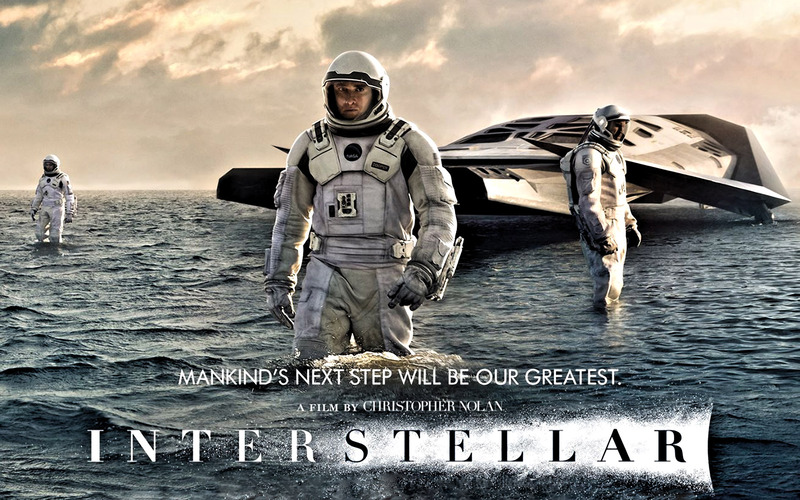 Though repeatedly hammed over the head throughout the beginning, Interstellar portrays a future world that has given up on the idea of progress and taking chances. Within a world of scarce resources, the bureaucrats challenge Cooper’s indomitable spirit and reiterate their focus upon time-tested methods of stabilizing demands—only exacerbating any chance of defeating the problems in the process—and consequentially relegating his son to a life of farming, rather than the opportunities offered by education. But when Cooper’s daughter soon begins receiving signs from “the ghosts”, and Cooper manages to find NASA now literally working underground, he is quickly recruited as captain to the team tasked with traveling through the loophole and determining which of the three planets beyond the wormhole may serve as humanity’s next home. Finding that two of the three inhabitable, and with too little fuel for both investigating the third planet and returning to Earth, Cooper journeys alone into a nearby black hole to gather data beyond the event horizon—allowing NASA to launch a massive space craft carrying the world’s population. While, of course, much of this narrative is driven by speculative science-fiction—exemplified by Cooper’s ability to transcend time within the tesseract created by a future version of himself—the principles of powerful science-fiction remain in full force. The climax is determined by the hero utilizing principles of plausible (if speculative) scientific underpinnings that illumine aspects of human emotion through this fictional premise. Though certainly the most hypothetical of the three, Interstellar attempts to explore the consequences of these scientific propositions while (less successfully) engaging in thematic, emotional ideas of love, sacrifice, and exploration. Nonetheless, throughout each of the three films, the filmmakers have ventured forth into a genre that embraces the intellectual and thematic capacities as best offered through the genre. Rather than merely using the disguise of sci-fi under the mask of an action movie or a futuristic setting, the narratives fully incorporate aspects of plausible science fiction filtered through narratives of cinematic allegory. Although Kubrick’s 2001 remains the genre’s apex, and a scattered few have successfully emerged over the years, the recent resurrection of hard sci-fi into the genre forefront signals the possibility of audience’s desire for material that matches the criteria found within hard sci-fi: smart, creative works that evoke possibilities of the future to explore the best and worst of immortal truths found within human nature. This entry was posted in Film Criticism and tagged Film Criticism, Sci-Fi on November 22, 2014 by Nick Yarborough.